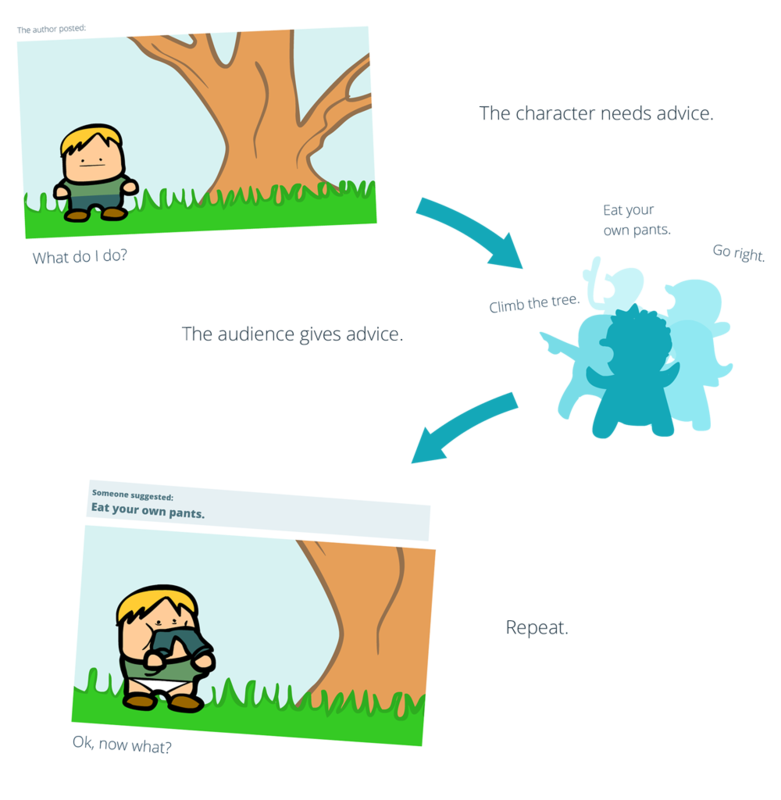 StoryDump is a place for real-time interactive adventures, where the main character fumbles through the story based on your advice. If you want to pitch in suggestions, and vote on other people's, go create an account now. Then check the front page for when the next story is happening!